Heat exchangers are difficult to design. These difficulties normally arise when it comes to rating and sizing the heat exchanger. 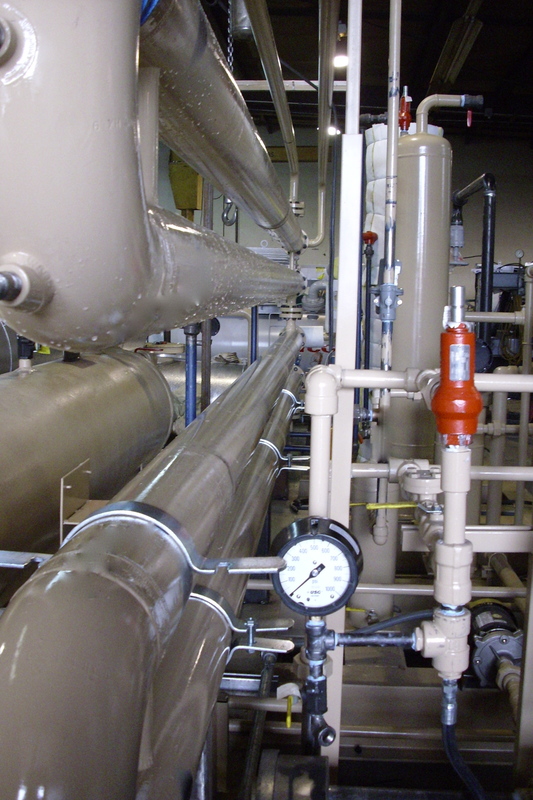 When rating a heat exchanger, there are many parameters taken into account. These parameters include the heat transfer rate, the inlet and outlet temperatures and the flowrates at these temperatures, and the pressure drop over the heat exchanger. Many times, customers only give two or three of the above values and expect the manufacturer to “fill in the blanks”. For this reason, it is important that the manufacturer has someone in their employ that is experienced in designing heat exchangers so that they can use their experience to determine what the missing values are that the customer wants and thus properly design the heat exchanger properly. Once the rating part of the design process is compete, then it is time to focus on the second “difficulty”, sizing the heat exchanger. Sizing the heat exchanger deals with taking the knowledge from the rating design and putting into a physical “vessel” that meets the customers needs. Sizing involves the dimensions of the heat exchanger as well as selecting the proper type of heat exchanger for the application. Again, having an experienced person on staff will help when determining what size/type of heat exchanger to use for what application. Finally, while having a well experienced person is definitely a plus, it is also helpful to have software to assist that person in getting the job done quickly and effectively. Together, these two things will greatly reduce the difficulty in designing heat exchangers.